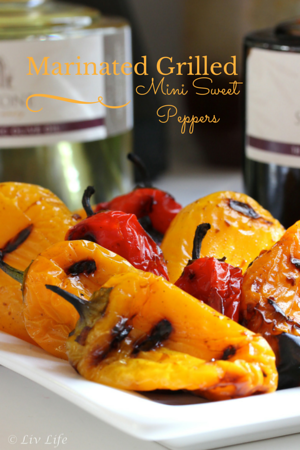 With perfectly crisp Mini Sweet Peppers from Melissa's Produce, we grilled the whole bag of fruits whole giving us lovely roasted peppers to have on hand for picnic appetizers, tossed into salads, or simply eating out of hand. Dipped into a Garlic Balsamic Vinaigrette, these little guys are simply irresistible! 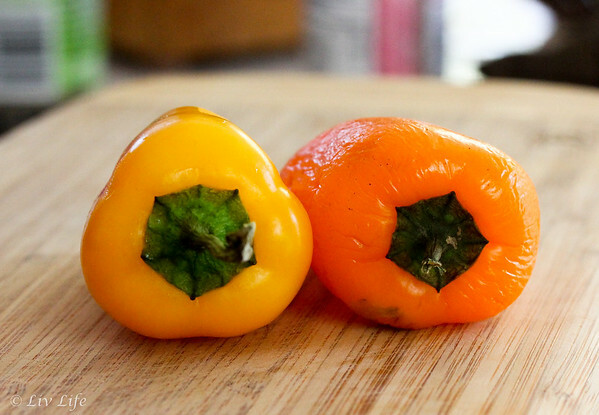 These mini peppers contain just a few seeds near the stem, so grilling whole leaves the stem attached and provides a sort of "handle" to pick up to eat. If you decide you want them in a salad, simply cut off the stem and slice. 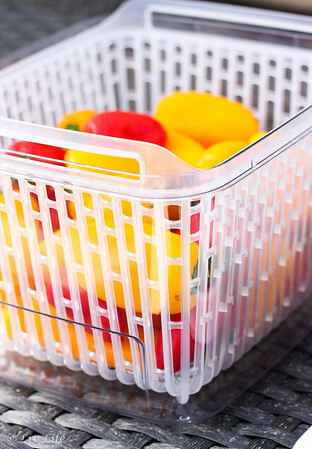 Wash peppers and place on a towel to dry, then place peppers into a zip top bag. In a small bowl add the oil, vineagar, dijon and garlic. Whisk to combine. Pour the vinaigrette over the peppers in the bag and seal. Move the peppers around the bag by gently squeezing to coat evenly with the dressing. 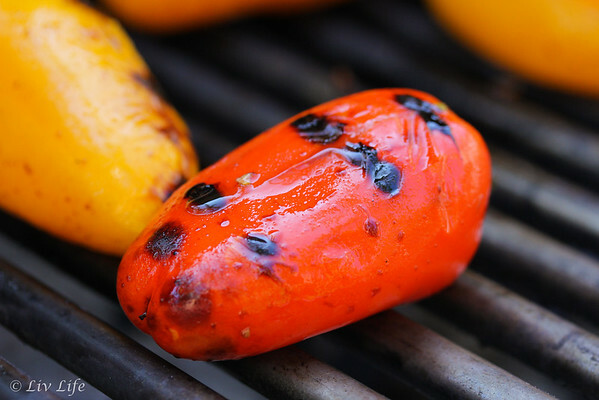 Allow peppers to sit for a few minutes while the grill gets hot. 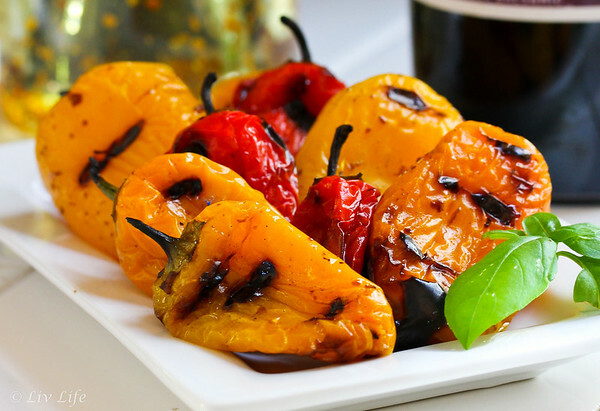 Remove the peppers from the bag and place onto the hot grill. Reduce the heat to medium and cover. Grill for about 3 minutes, then turn the peppers, checking to see they have some nice sear marks before turning. If they don't have grill marks yet, give them a few more minutes. Once flipped, grill until the peppers are soft (but before they turn mushy!) and have grill marks on both sides. Remove from the grill and place on a plate. 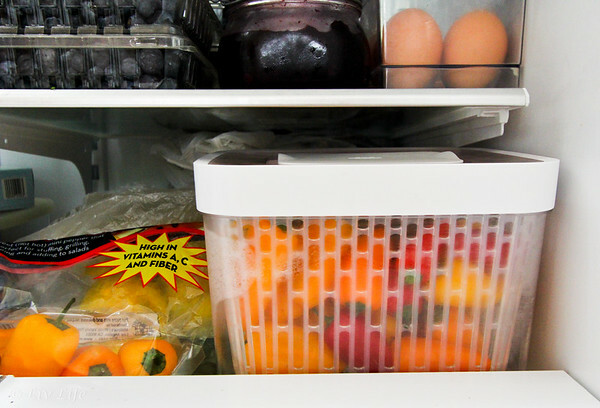 Peppers are ready to eat immediately, or alternatively may be allowed to cool to room temp, or even chilled for a later use. I love to have the peppers on hand for snacking, but they may also be chopped and tossed into salads, eggs or used on sandwiches. To use as an appetizer, make more of the balsamic vinaigrette from above (adjust balsamic measurement to your taste). Arrange peppers on a plate and drizzle dressing over the peppers before serving. I like these best at room temp. Maltese photobomb! He loves Melissa's Mini Sweets too! 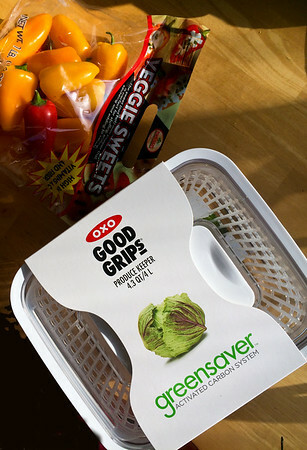 LivLife Note: We received 1 OXO Greensaver Activated Carbon System from OXO and a package of Mini Sweet Peppers from Melissa's Produce to try and review. The opinions are all my own, and we wholeheartedly stand behind these products! Where can one purchase these baskets? Are they available in Canada? I find vegetable crispers (the ones that come with the fridge) don't live up to their promise at all. These baskets sound like they fit the bill. Judith... you can get them directly on the OXO site (click any of the highlighted "OXO Greensaver" Links above or go to OXO.com. But I've also seen them at Bed, Bath and Beyond and my favorite, Sur la Table! Thanks for your reply. Will also check out Amazon also. Mercedes... you going to love them! Perfect for a summer barbecue. Love fresh veggies especially with a drizzle of balsamic. The Balsamic Drizzle was a treat! Wow, what a difference! We struggle with fruit/veg going bad too, sooner than we can eat it. It's frustrating. I will try to find some of these greensavers here! 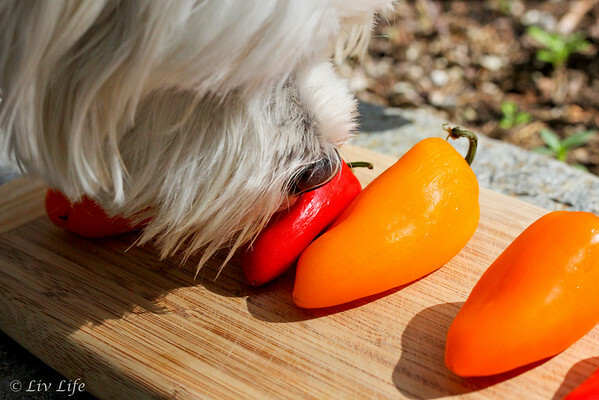 PS - those roasted peppers look delicious! Olivia, we had fun with the experiment... but after seeing the results I'm sold. You and I are soul sisters. I have made grilled peppers twice in the last three days. Although, I haven't tried marinating them. Must try that!